It is time for “Spring Cleaning,” and that gives us a chance to freshen up our homes and give them some ‘new life.’ But, let’s face it, our homes are full of stuff and once we have accumulated so much, it is hard to declutter. Garages are, often, the culprits of being spaces that need the most help with piled-up stuff. Some folks can’t even get their car or cars into the garage. If this is the case, consider looking into SF Bay Area self storage solutions such as storage containers from At Your Step Storage, where you pack your belongings in a container, and we store it for you! When faced with piles of things that you’d really like to see cleaned up, there are choices to make. You could ignore the problem and keep tripping over the items cluttering the garage. You could just box it all and stack it deep. You could give it all away (not likely, right?) Or, you could choose an affordable Bay Area storage option to help contain your excess belongings. Here are six handy tips for tacking ‘the garage problem’ that will help make your garage Spring Cleaning challenge a rewarding pleasure. 1. Consider your storage needs for the whole house. 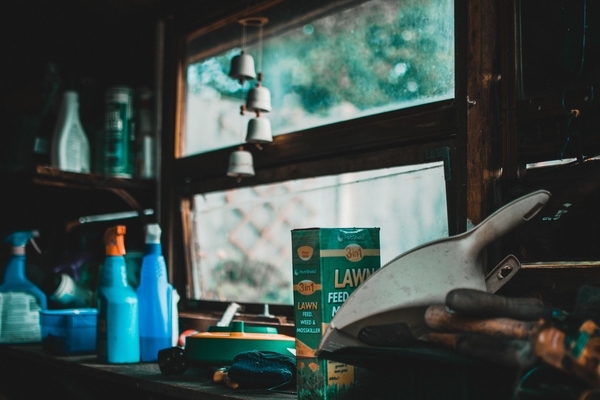 It doesn’t make sense to exert a lot of time and energy to clean out your garage today, only to have items from the rest of your home migrate out and fill it up again tomorrow. What do you want to accomplish? Start with some careful thinking about how you use your garage and what you really use that belongs out there. Consider the time that you will need for the clean-up project. Then carve-out a specific time that you can focus on the effort. Don’t dribble out the work a few minutes here and there or it won’t get done well. Pick a day when rain isn’t forecast so you can pull things out of the garage and organize your work. 3. Sort and organize the items in the garage. Are there items among the stuff that you never or rarely use? What do you need to keep? What can you donate, toss, or even sell? 4. Consider how you will access the things that you really need to use. Do the items require shelving, hooks or cabinetry? Do some research to come up with a good organization strategy utilizing the wall amount of floor and space you have. Sweep out the garage. Get rid of the dust and dirt. Get it looking good again with some deep cleaning. With At Your Step Storage, you can store the items that you don’t have space for or when you need to move in our containers. If you need Walnut Creek self storage, we are here to help. Contact At Your Step Storage HERE for container delivery and pick up in the San Francisco Bay area. They offer an affordable, easy way to store or move in the Bay Area. Call (877) 900-STEP to talk get more info today!